The home of the perfect classic, cruiser and sports touring leather motorbike jacket range in the UK. Men's leather jacket chest sizes from 36 - 54 and women's leather jacket sizes from 8 - 24. 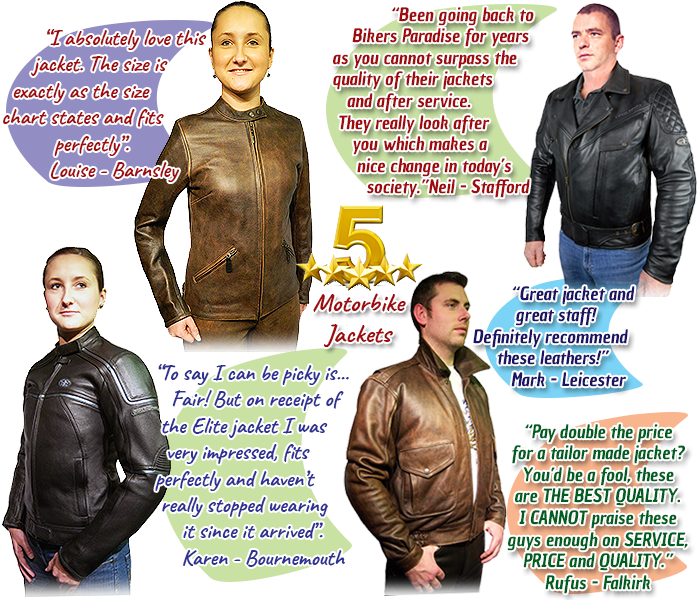 Quality is always our number 1 aim when designing and constructing our leather motorbike jackets. But we are a small, responsible company and so never forget the importance of value for money. We'll never charge you more than we need to to make a living. Scroll down to the footer and click on 'Articles' to be taken back to the article menu.